The newly built RESIDENCE TOWER features more than 206 rooms on 21 floors overlooking beautiful 5 km-long Bai Sau Beach. Guests at the Residence Tower enjoy a private entrance and two-story reception area featuring two formal salons where welcome drinks are served during check-in. The Residence Tower boasts 1- and 2-bedroom suites as well as four two-level penthouses with incredible panoramic views of the ocean. Touches of luxury are found throughout the King's Tower including period-inspired furnishings, inlaid marble, walnut veneers and painted ceilings. 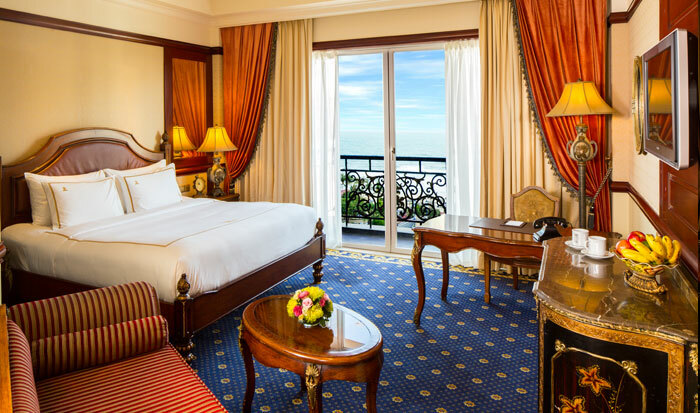 The 206 rooms on the 21st floor serves up cocktails and snacks high above scenic Vung Tau with stunning night views of the Bai Sau strip as well as fishing boats glittering in the distance. 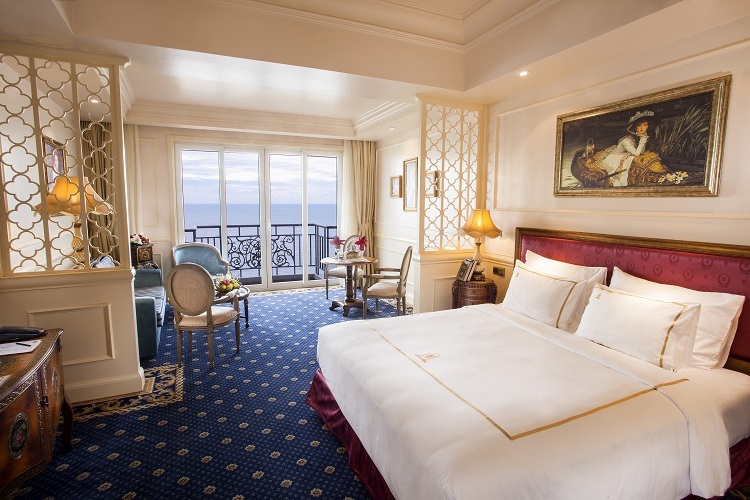 Built in 2008, the original Hotel Tower features 144 rooms on 20 floors, boasting beautiful ocean, garden or city views. The stunning two-story lobby recalls a sumptuous European palace with gleaming marble floors, beautifully painted ceilings, regular live piano performances and Victorian-era inspired art. A gorgeously sculpted marble fountain and stunning skylight add to the grandeur of the space.